One of Japan's longest running anime/mangas, Doraemon is loved throughout the world. Figuarts ZERO has brought to life some of the series favorite characters over the years and continues to do so with everyone's favorite bully, "Gian." 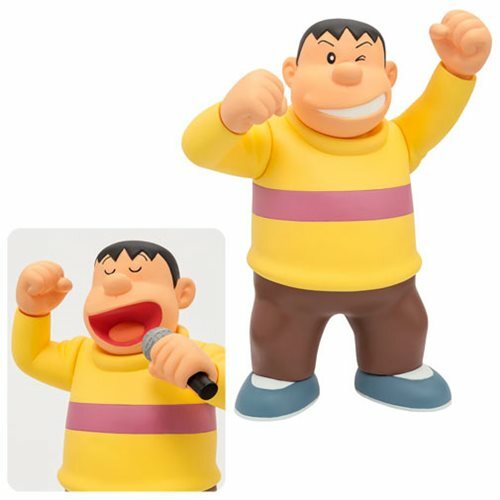 Gian, short for "giant," is sized proportionately to the other characters so you can enjoy a meticulously designed and authentic Doraemon statue collection. Gian comes with an interchangeable arm piece for posing him singing (or at least trying to sing) karaoke. Set also includes an interchangeable facial expression piece. Don't forget to check out the whole Doraemon series! Ages 15 and up.